The most refreshing element in “Ralph Breaks the Internet,” based on the screenplay by Phil Johnston and Pamela Ribon, is its lack of villain, especially for a film targeted toward young children. Having a big bad is the easier path to traverse because if there is someone else to root against, then taking some of the focus away from the central protagonists is not as noticeable. The most cathartic moment relies on defeating the enemy. So, in a way, an argument can be made that the sequel is more ambitious than its predecessor. Here, the “villain” is change—specifically, how changes in one’s goals or dreams may threaten to derail a friendship. While I enjoyed its more mature theme, it is far from consistently entertaining. There is a wealth of detail in this colorful and lively animated picture. 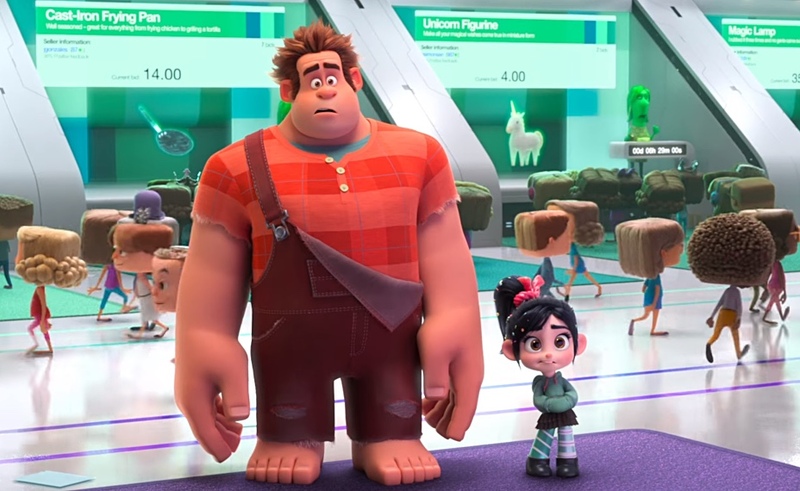 The plot revolves around Ralph (voiced by John C. Reilly) and Vanellope (Sarah Silverman) discovering the wonders of the internet. 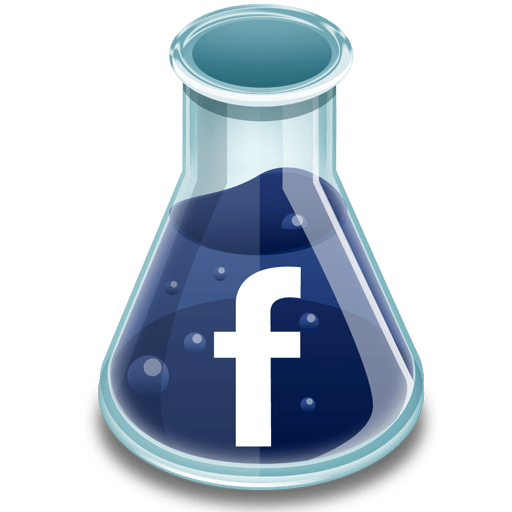 It is filled to the brim with visual jokes, from intense bidding experiences on eBay (even though the items to be “won” are so silly) to annoying pop-up advertisements that plague websites with heavy traffic. The online world is beautiful and vibrant; there is almost always something to appreciate in the background should one bother to look. Especially amusing is the effort put into the design and voices of the more memorable supporting characters like the search engine Knowsmore (Alan Tudyk) who can speak faster than you can think (or type). Another welcome addition is the fashionable Yesss (Taraji P. Henson), an algorithm that specializes in trending videos on BuzzTube, who decides to help Ralph and Vanellope find ways to earn enough money so they can purchase a replacement for the broken Sugar Rush wheel. Failing to do so would result in Ralph’s best friend no longer having a home since the game would be shut down permanently. (The wheel replacement costs more than how much the game makes in a year, according to the arcade owner.) These characters command distinct looks that match the voice performers’ level of enthusiasm. Despite the details, however, the more interesting avenues are touched upon but never explored. When Ralph stumbles upon the comments section—specifically comments about how he looks, acts, and comes across—the material introduces the darker, more toxic side of the internet. This may be new to kids because, in reality, the internet offers more than playing the latest trendy games or watching cute cat videos. People can be mean—often for no reason—and they use the anonymity of the internet to say things they would never dare to express should their faces and actual names were exposed for the world to see. While this is on the more serious side, I believe that should the screenwriters made the topic more kid-friendly, the film would have commanded more urgency. Cyberbullying and toxic online environments are certainly more relevant now than ever. And the film’s main target audiences are going to grow up and deal with it. The picture also suffers when it showcases characters from wildly popular franchises—especially when classic and modern Disney princesses take up the screen. The jokes are so specific, so amusing, and so clever that the original characters in this series fade into the background by comparison. At one point, I caught myself wishing that there was a movie of just the Disney princesses hanging out and saving the world. Sometimes less is more. Vanellope may be spunky, but she does not hold a candle against any one of the Disney princesses that makes a cameo. Speaking of less being more, I would have preferred not to have heard Vanellope’s awful song. “Ralph Breaks the Internet” is overlong, running out of steam about halfway through. While the more emotional moments may tug at the heartstrings for some, those who have grown impatient, like myself, are likely to see through the manipulation. Still, there are some chuckles to be had here.